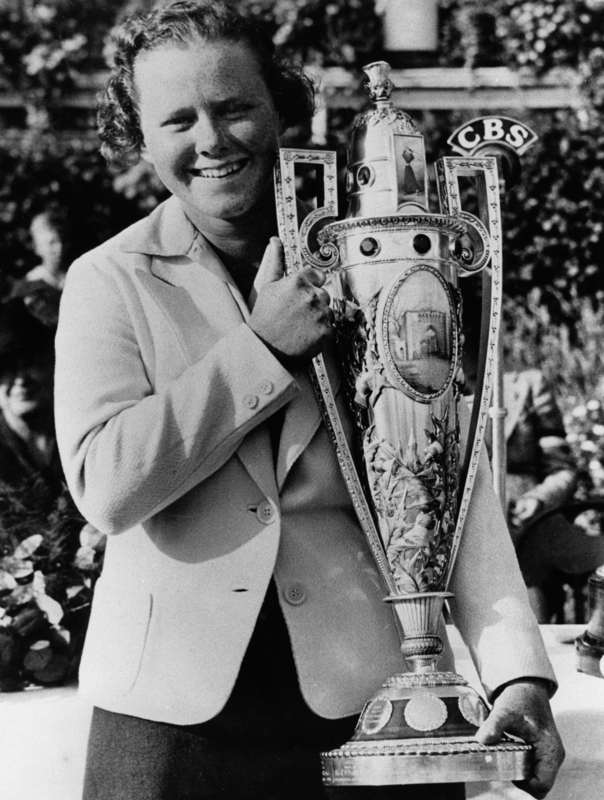 The year before she won the ’38 U.S. Open in Illinois, Patty Berg won the match play event in Aiken, South Carolina where P.G. Wodehouse captured a coveted hotel umbrella against a field of rotund retired businessmen. ONCE AGAIN, TIME FOR THE VALUE MEAL PORTION OF THE ZONE’S SUNDAY IS FUN-DAY LINE-UP. LESS DANGEROUS THAN HALF-PIPE, WHATEVER THAT IS. LESS CONTROVERSIAL THAN FIGURE SKATING…I MEAN, THE BALL’S EITHER IN THE HOLE, OR IT ISN’T. IT’S A ZIRCONIUM MEDAL EDITION OF THE LONGEST-RUNNING GOLF RADIO SHOW IN TEXAS. YOUR HOST AND SHAG BOY. WRITER-FOR-HIRE – 5’ 9” 150 LB. 16 YEAR, LIFETIME CATAMOUNT, BATS RIGHT, THROWS RIGHT. THANK YOU FOR FINDING THE TIME. IT MAKES IT SO MUCH MORE MEANINGFUL, SITTING IN THIS DARK ROOM UNDER THE FAKE PALM FRONDS KNOWING THAT SOMEONE’S HERE WITH ME, EVEN VICARIOUSLY, IN THE SHAG-ENCRUSTED CONFINES. WITH LUCK, YOU’RE IN A MORE HEALTHFUL ENVIRONMENT. …IT’S NOT COMPLICATED. THE ENDEAVOR IS TO ENHANCE OUR APPRECIATION AND UNDERSTANDING OF GOLF. WE DO THAT BY TALKING TO INTERESTING PEOPLE DOING INTERESTING THINGS. TODAY WILL BE NO EXCEPTION. I WON’T SURPRISE YOU. I KNOW YOU’RE BUSY SO I LIKE TO LAY THINGS OUT UP FRONT IN THE HOPE THAT YOU’LL STICK AROUND. JUST AS LONG AS I’M NOT KEEPING YOU FROM PRACTICING YOUR SHORT GAME, OR, HEAVEN FORBID, FROM MAKING YOUR TEE TIME. NEXT SEGMENT, PAULA LAVIGNE WILL TALK ABOUT HER FINDINGS, AND THE FALLOUT. …LATER, AT ABOUT HALF-PAST THE HOUR, WE’LL WELCOME BACK OUR ERSTWHILE DIRECTOR OF GOLF. BRYAN GATHRIGHT CHEERFULLY MANS THE SWING CRISIS HOTLINE. ANONYMITY ALWAYS GUARANTEED, NO LAST NAMES NECESSARY. STELLAR SWING ADVICE AT CUT-RATE GOLF SCRIBE PRICES. KEEP THE NUMBER NEXT TO THE DUDE’S ON YOUR SPEED DIAL: 390-5483, 390-LIVE. FOR OBVIOUS REASONS, WE’RE AN EXCLUSIVE PRESENTATION OF SPORTSTALK AM 1300 THE ZONE, AND YOUR AUSTIN AREA CHURCH OF THE INVETERATE DUFFER. OUR CUSTOM ON SUNDAY MORNING IS TO OPEN WITH A SHORT INSPIRATIONAL READING. AIKEN, YOU LIKELY KNOW, IS NEAR AUGUSTA, GEORGIA. I’M GUESSING HE’S REFERRING TO THE HIGHLAND PARK GOLF COURSE AND HIGHLAND PARK HOTEL. ALMOST TO THE DAY THERE, 77 YEARS AGO, BABE DIDRIKSON SET THE PACE ON A SOGGY 5,418 YARD COURSE TO TAKE MEDALIST HONORS IN QUALIFYING FOR THE INAUGURAL WOMEN’S GOLF INVITATIONAL. BABE SHOT 73. 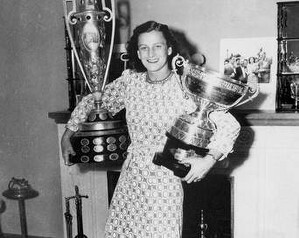 PATTY BERG WOULD GO ON TO WIN THE MATCH PLAY EVENT BEATING AUGUSTAN BARBARA BOURNE, WHO WOULD LATER MARRY HORTON SMITH, THE WINNER OF THE FIRST MASTERS. THE TOURNAMENT, NOTED THE AUGUSTA CHRONICLE, WAS HAILED AS A HUGE SUCCESS. MARCH 20, 1937. AS A MATTER OF FACT, WE HAVE EXCITING MATCH PLAY ACTION UNDERWAY. JUST A MATCH PLAY APPETIZER TO THE FESTIVITIES IN SEPTEMBER IN SCOTLAND, IT BEING A RYDER CUP YEAR. WE MIGHT JUST TAKE A GLANCE AT THE STANDINGS FOR CAPTAIN TOM WATSON’S SIDE BEFORE THE HOUR SLIPS AWAY. JASON DAY AND RICKY FOWLER IN ONE OF THE SEMI-FINALS. TWO GOLFERS WITH TREMENDOUS UPSIDES, OBVIOUSLY. FOWLER THIS WEEK BESTS: IAN POULTER, JIMMY WALKER, SERGIO GARCIA AND JIM FURYK. RYDER CUP MATERIAL, CERTAINLY. THAT’S THE MENU. I HOPE IT MEETS WITH YOUR APPROVAL. ACCEPT NO SUBSTITUTES. JUST THE SORT OF INFORMED GOLF TALK THAT YOU’VE GRADUALLY GROWN TO TRUST OVER THE YEARS. SKIN CANCER, THE MOST COMMON OF ALL. NEARLY 1 MILLION CASES IN THE U.S. ALONE ANNUALLY, ACCORDING TO THE AMERICAN CANCER SOCIETY. ANY UNUSUAL SORE, LUMP, BLEMISH, OTHER SKIN MARKING, OR CHANGE IN THE WAY AN AREA OF THE SKIN LOOKS OR FEELS MAY BE A SIGN OF SKIN CANCER OR A WARNING THAT IT IS LIKELY TO OCCUR. WWW.CANCER.ORG. PERCENT OF GIVING WATCHDOG GROUPS SAY MAKES A GOOD CHARITY: 65 PERCENT. PERCENT OF EXPENSES EXAMINED TOUR EVENTS DONATED IN 2011: SIXTEEN PERCENT. AFTER THE BREAK (THERE ARE NO TIME-OUTS IN GOLF) PAULA LAVIGNE AND HER FINDINGS: “TAX BREAKS POWER PGA TOUR GIVING.” YOU’RE LISTENING TO THAT’S GOLF ON SPORTS TALK AM 1300 THE ZONE.